The more I learn about wine, the more I see why I have always had such an affinity for it—at least since my college years, when we drank bad, cheap red wine late at night at Club 23 in South Bend and thought it was the bomb. Wine needs space and room to breathe so it can open up, soften up, and give you the best of itself. The full-on Lebanese in me loves to be around people, talking and eating and laughing. The writer in me wants solitary space and room to breathe, and when I do that I have found that I really do open up, soften up, and, yes, just like the wine, can give the best of myself. I finally figured out how to find my space: I spend time in the kitchen and in an airy writing room in Harbor Springs. 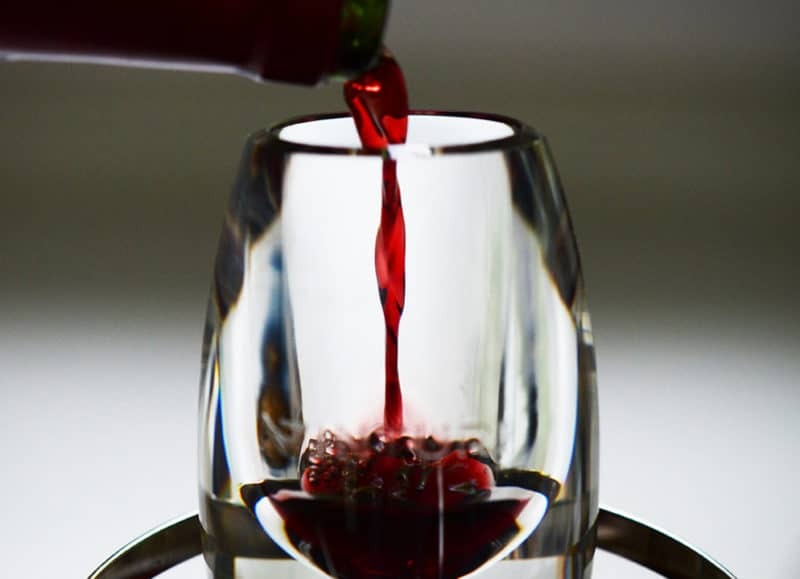 The wine, especially the dark red varietals find theirs by begging to be poured into a wide-bottom, deep decanter that allows for maximum exposure to air. 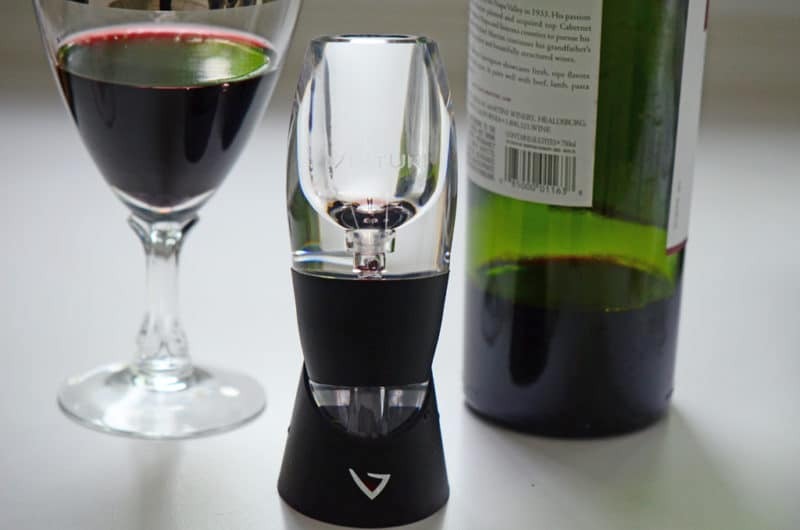 That was always the best way to aerate wine, until Vinturi came along with its math and brilliant design and sensibility. Vinturi aeraters are like a filter through which the wine passes with ease as it’s poured into a glass. 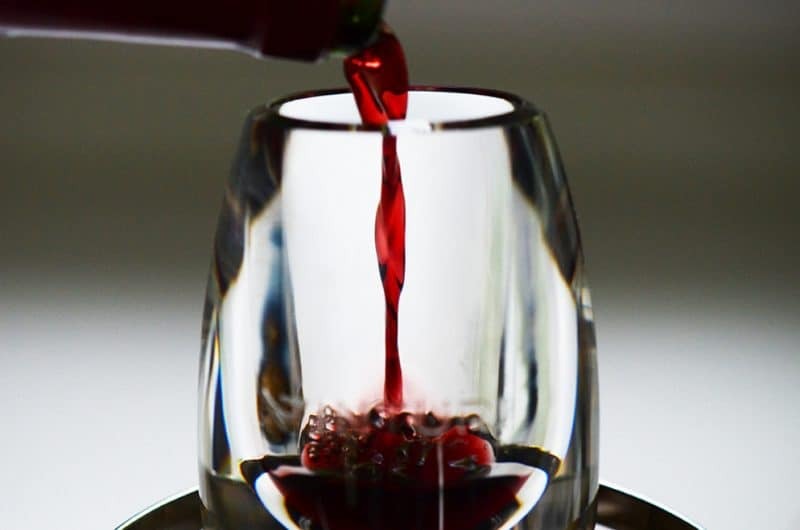 Once it hits the glass, the wine has been injected with a precise amount of air, making it fully aerated and ready to drink in the amount of time it takes to pour a single glass of wine. Before I too often skipped the aeration process because when I uncorked a bottle, it was time to drink and nothing else. Many subtleties of flavor were lost in that translation, and I’m a big fan of subtleties of any kind. Then a few years ago my brother Richard sent me, as he has several of his siblings, Vinturi as gifts (sorry to those of you who were left off his list…). Now I have the immediate gratification of drinking my wine right away and still enjoying the soft openings aeration provides. If only I could pour myself through the Vinturi, I’d have much more time on my hands. Want one? Here you go. Favorite Things: Wine Glasses Lebanese wine, and tasting Lebanon. 2 Responses to "Another Favorite Thing: Vinturi Wine Aerater"
Late nights at Club 23! Oh the memories….